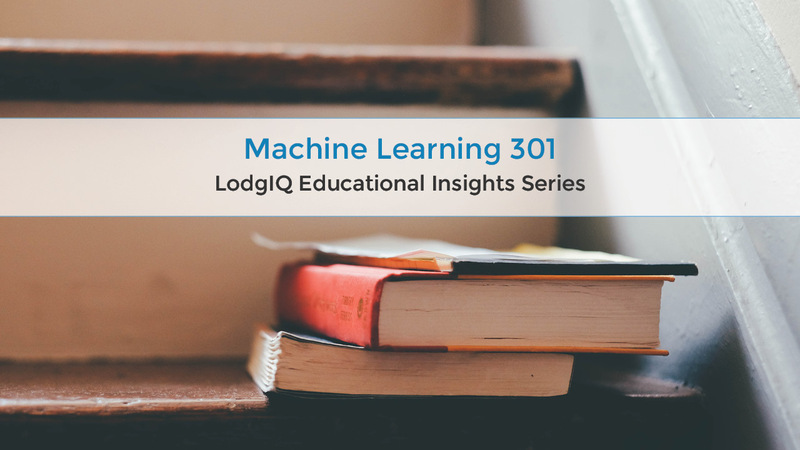 Analytics is the focus of Machine Learning 301. Here are Machine Learning 101 and 201, in case you missed it. Analytics are a valuable tool to finding new ways to generate more hotel revenue. But to fully impact hotel profit with technology, different types of analytics must be leveraged. Not all analytics are created equal, especially when it comes to ways to generate more hotel revenue. Each type of analytics serves a different purpose, all offering up different and more detailed ways to interpret data to achieve results. Some forms of analytics include descriptive, diagnostic, prescriptive and predictive; each telling us something different, each providing a different form of insight. We’ll discuss descriptive and diagnostic analytics below and prescriptive and predictive analytics in a blog coming soon. Analytics, when combined with machine learning, allows hoteliers to make more accurate hotel market forecasts for 2017. But we must use the right type of analytic for the right end goal. Descriptive analytics, for example, doesn’t require complicated algorithms, and is the most basic. Most of us are very familiar with descriptive analytics because it bore the data mining trend. This kind of analytic allows hoteliers to put customers into specific buckets based on simple past preferences. While revenue generating personnel can see that X people come from a certain region, or enjoy golf, for example, descriptive analytics is limiting because it offers no insights into future behaviors. Diagnostic analytics reveal a bit more in the data, allowing hoteliers to understand why something happened. We see this expressed as ‘likes’ and ‘follows’ on social media sites such as Facebook and Instagram. And we can aggregate all the comments people make online to draw several conclusions. A couple of examples include a better understanding of what people thought about the hotel bed, or the breakfast buffet, among others. This type of analytics is limited because it doesn’t help improve hotel sales without making proactive change. Information gleaned from descriptive analytics is limited because it doesn’t provide strong enough insight to forecast future events. Just because a hotel has 100,000 ‘likes’ on Facebook, doesn’t specifically mean the hotel will see more future business than it has in the past. Hoteliers running Excel spreadsheets have great historical information, for example, but the information fails to provide insight about what will happen on a go-forward basis. A hotelier can see that X number of customers like a specific activity, for example, therefore giving hoteliers a base of people to market specific activities. However, it cannot predict how people will react to that offer, or at what price point is best for conversion, it simply reveals to us that people have a certain preference. For that, and to capitalize on revenue management trends in 2017, hoteliers must leverage prescriptive and predictive analytics, which we’ll get into in the final part of our series.